In today’s demanding market of digitalisation and globalisation, it’s paramount for businesses to utilise online strategies and tactics that escalate their exposure to customers that are actively looking for their services or products. Search Engines are undoubtedly the most influential programs that will affect your online visibility, and hence your website traffic, conversion rates, and inevitably success. Search Engine Optimisation (SEO), therefore, is used widely by most websites to heighten their Search Engine rankings, otherwise referred to as ‘Search Engine Results Pages’ (SERPs). SEO can be a wonderful investment that will expand your exposure and conversion rates, or if used improperly, can hurt your rankings and exposure, thus having the opposite effect. The problem with SEO is that its algorithm is frequently changing, and most website owners don’t keep up to date with the current SEO trends. 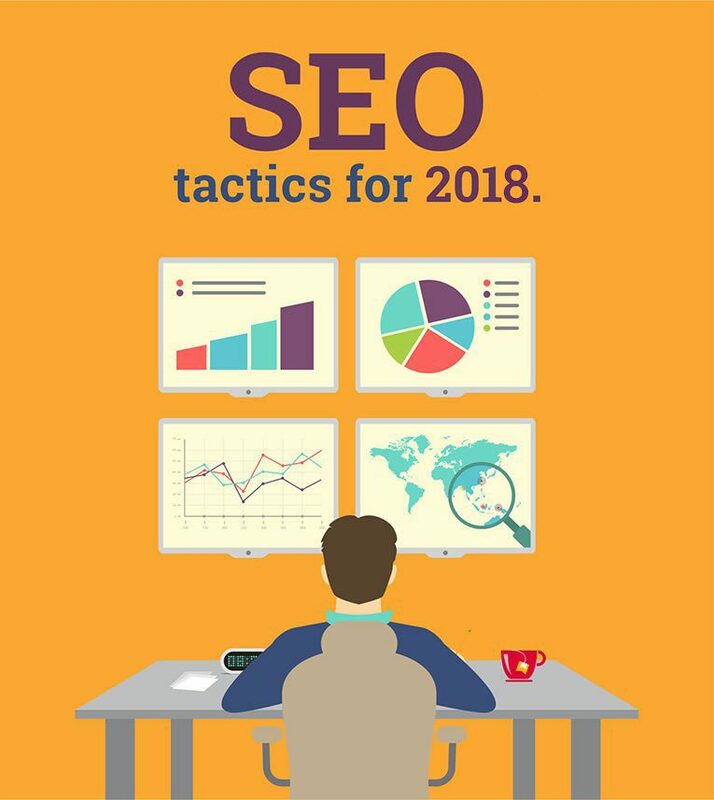 SEO techniques that worked last year may not necessarily be successful this year, and prevalent SEO tactics from 5 years ago may result in your website being penalised today. As opposed to investigating the top SEO tactics that website owners should be investing in, we’re instead going to review the top SEO tactics that will actually penalise your website and therefore should be entirely forgotten about in 2018. Keyword stuffing is a normal mistake that many website owners make to try to heighten their SERP results. Keyword stuffing is pretty much the same as it sounds – adding as many keywords/phrases to a websites content or meta tags in any way possible. Search Engine spiders or crawlers can quickly establish how many times a keyword has been utilised and will penalise websites for excessive keyword stuffing. Instead of keyword stuffing, website owners should concentrate their efforts on the sub-topics and related information behind the keywords/phrases themselves. Link building has been an SEO tactic since the onset of SEO, and its performance as an SEO technique has developed swiftly since then. Although link building is still among the top three SEO tactics in 2018, aggressive link building will undoubtedly result in your website being penalised. Google weighs links strongly as a ranking signal given that links are a public promotion which corresponds with useful information on a website. Aggressive link building takes place where links are acquired in an abnormal way. Examples of this is where links are deposited in poor link directories, buying links, link schemes, and other spammy tactics. This SEO tactic will result in penalties for a website and should be ditched, instead being substituted with a link building strategy that is more user-focused and marketing based. One outdated SEO technique that lots of folks still perceive to be effective is excessive internal links. There is a general misconception where websites that contain a large quantity of links to other pages within the website will assist their SERP results. The intention in doing this is to bolster a website’s backlink profile. This is definitely not accurate, as excessive internal links within your website will do more damage than good. One of the most neglected SEO technique that will improve your SERP rankings relate to the images within a website. Optimising your website for image search is a terrific way to enrich your SEO, and this can be done primarily with the image filename and alt attribute. For example, as opposed to supplying an image with a filename of home1.jpg, website owners should instead try to use a keyword that characterises the image. Furthermore, a common mistake with images is keyword stuffing the alt attribute. Are you new to social networking sites and want to learn the essentials of one of the most awesome platforms on the planet? Well, you’ve come to the right place! Twitter is a social networking service where close to 330 million users engage with one another through short messages of up 280 characters. At this point there’s more or less 6,000 tweets being sent through the internet every second, ranging from simple text messages to images, gifs, memes, videos, and even more. Twitter is among the most stylish social networking platforms and is very different to other social networking giants like Facebook and Instagram. Twitter is a platform where members publish a multitude of information; from jokes, politics, news, or just universal thoughts about ambiguous topics! Rather than having a circle of friends like Facebook, Twitter is based upon followers (not specifically friends) so not only can you interact with friends, but also your favourite journalists, politicians, and sport stars alike. Everything you post on Twitter is accessible publicly for anyone to see, but don’t stress, you can simply adjust your preferences to private if you prefer to. Creating an account is simple and easy, just download the app or visit www.twitter.com and hit the signup tab. The full name you enter will be your display name, but this can be modified as frequently as you want. Choose a username (or handle) so users can mention you by typing the @ symbol before your username. After you’ve entered your telephone number for validation purposes, selected an avatar, and composed a quick bio about yourself so others can see your hobbies and interests, you’re all set to go! As mentioned previously, Twitter isn’t about friending, it’s about following. Not only can you follow your buddies, but also any other personalities of which you’re a fan. Once you’ve registered, Twitter will offer a helpful kind of setup wizard to help you get started, for instance suggesting some individuals that you may want to follow. You can give Twitter permission to explore your contacts list to locate any of your friends that are already using Twitter. Following friends and other users is particularly simple, and once you’ve started following certain users, Twitter will continue to provide suggestions for other users to follow depending upon the types of users you’re currently following. All the tweets of your followers will show in your Feed, so the more you follow, the more Tweets will appear in sequential order in your Feed. You can Tweet anything you like, so long as it complies with Twitters rules and guidelines (https://help.twitter.com/en/rules-and-policies/twitter-rules). This includes mentioning other users (@), promoting a topic or theme (#), or Retweeting other user’s comments (RT). Simply select the ‘Compose New Tweet’ button and you can Tweet text, videos, gifs, photos, images – a whole range of different media that can be uploaded through your device. Bear in mind though, videos can only be up to 2 minutes and 20 seconds in length, however photos and images do not count towards your character limit, which is fantastic! Once you understand the basics of Twitter, the world is essentially at your fingertips! 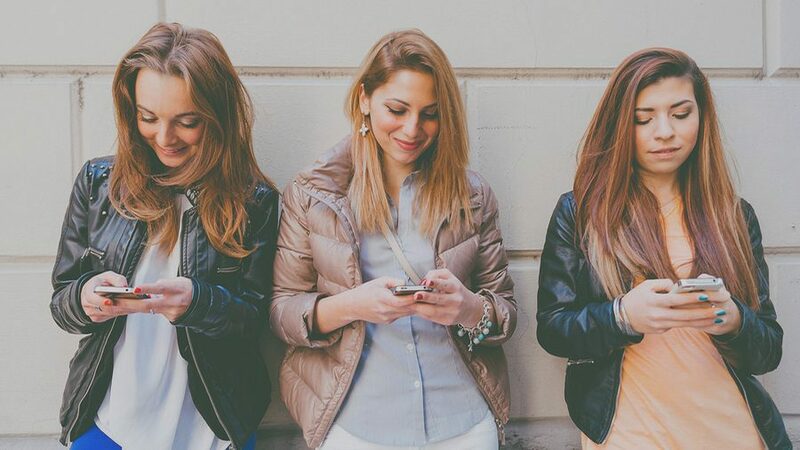 You can keep up to date with the latest trends, be the first to look at viral posts, and connect with your friends and favourite personalities in a simple and easy to use interface. If you’ve just built your first website and want to know the ways in which you can increase your organic search results, then you’re certainly on the path to success. SEO is one of the most influential marketing tools simply because it allows you to get your message in front of prospective consumers that are directly searching for your products or services. Regrettably, the answer isn’t very straightforward! Google’s search ranking algorithm is essentially its secret to success, so it’s extraordinarily sophisticated and has over 200 variables that account for the listings in its Search Engine Results Pages (SERPs). Luckily for you, not all variables are created equally, so you can concentrate on the most influential variables that will have the biggest effect on your SERP listings. It is essential to understand that the weight of each variable is adjusted gradually, so Google will place more priority on certain variables based on user behaviour and how Google feels it can maximise the user experience. With this being said, most of the leading organic SEO ranking aspects have been in the same position for a few years now, so understanding these top variables can give you a better understanding of how you can optimise your organic search results to enhance website traffic, customer engagement, and ultimately sales. A great priority is placed on content because Google wants to rank the most relevant websites at the top of its search results . The recent Hummingbird update helps Google to understand a website’s content structure and how this content adds value to potential consumers, so creating quality content set in a natural tone will be remunerated with higher rankings. Including articles in your website such as descriptive tutorials, guides, and how-to’s is a fine start. 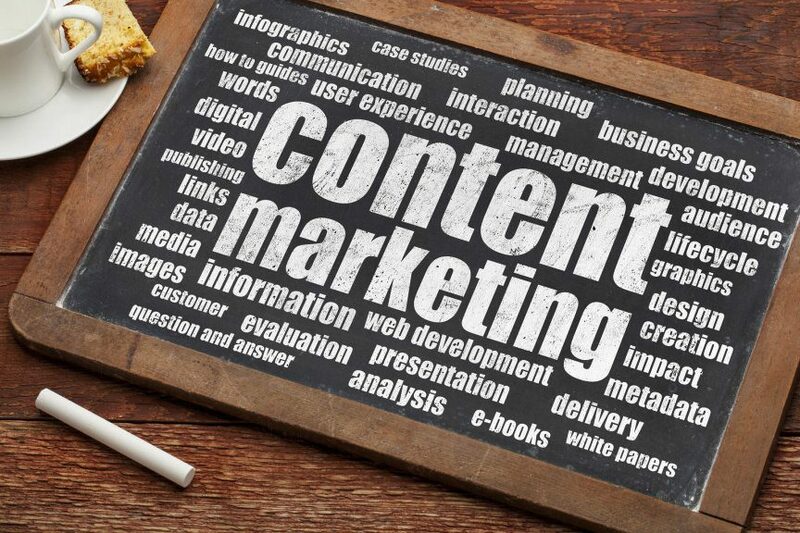 Furthermore, the more content you have, the better it will rank in search results. SerpIQ (https://serpiq.com/) has examined the top 10 search results and uncovered that the top positions contain content that is about 2,400 words in length. For over a decade now, backlinks have been one of the most vital variables in SERP listings simply because the more links there are to your website from reliable sources, the more trusted your website is regarded. The other side of the coin rings true also though, so beware not to generate links on spammy or uncredible websites or your rankings will go down! Matt Cutts (https://www.youtube.com/watch?v=iC5FDzUh0P4) from Google explains that backlinks will lose value eventually as Google searches for new ways to evaluate websites, but for the time being, link building is still the best indicator of relevancy and authority. With more users now surfing from mobile devices than desktop computers, there has been a major shift towards optimising your website for mobile devices. Google is already experimenting with mobile-first indexing, which indicates that Google’s index will soon crawl the mobile version of a website as opposed to the desktop version. If your website isn’t currently mobile-friendly, you better get started but be careful not to release it until it’s 100% complete or you may be penalised. Page loading speed is a significant factor for mobile optimisation, so aspire to have mobile pages loaded within 2 seconds to make certain that your website is truly ‘mobile-friendly’. There are lots of other technical variables that will significantly alter your SERP listings, such as security, headings, anchor text, and interstitials. There is a strong connection between high ranking websites and those that are SSL encrypted (HTTPS), and this is very quick to install if you haven’t already done so. Additionally, make sure that your landing pages have a H1 or H2 heading in the source code, as this has been found to correlate with higher rankings. 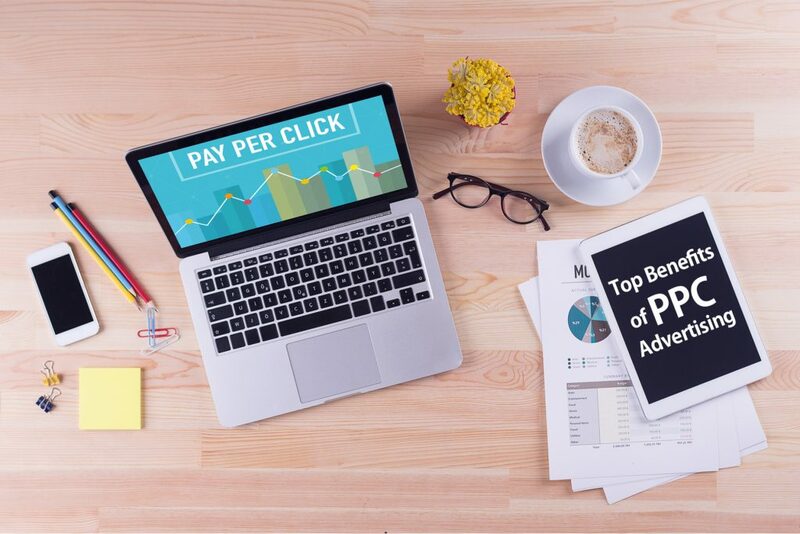 Other elements such diverse and organic backlink anchor text and less on-page advertisements and pop-ups will also enhance your organic search results listings. Google’s search ranking algorithm is frequently evolving, meaning that SEO techniques are constantly changing also. Despite the fact that there more than 200 variables in Google’s search ranking algorithm, Google has placed great significance in recent times on rich content, quality links, and a seamless mobile experience. Trying to focus on all Google’s search ranking variables will prove to be unproductive, but if you focus on prioritising the abovementioned variables in your SEO efforts, you will be ahead of the competition.